Arrive at the Changi Airport in Singapore and meet our representative. Get transferred to the hotel on a seat in coach basis. As you arrive, check-in to the hotel and enjoy your day at leisure. In the evening, proceed to visit the award winning wildlife night attraction - the Night Safari. This is a unique experience wherein you will be greeted by 2,500 resident animals from over 130 species roaming freely in their natural habitats. The highlight of this tour is that you will get to explore the zoo in a guided tram ride that takes you across 7 geographical zones of the world. After the excursion, return to the hotel for an overnight stay in Singapore. Enjoy a delightful buffet breakfast and proceed on a seat in coach basis to the Universal Studios. It is the first and the only theme park in Southeast Asia that features 24-movie themed rides and attractions. Go beyond your imagination as you experience cutting-edge rides and shows based on your favourite blockbuster films and television series. Enter the thrilling world of roller coasters and immerse in the entertaining experience that brings the silver screen to life. In the evening, walk across the S.E.A. Aquarium and discover the breathtaking world of life in the ocean as you see 800 species of marine animals. Come face to face with 200 sharks, manta rays, Napoleon wrasse and other gentle giants of the sea. Then proceed to the hotel and enjoy your overnight stay in Singapore. After a healthy breakfast, head to Singapore’s island playground - Sentosa Island, an island packed with world-class attractions, sea sports, golf, restaurants and beaches. To reach the Sentosa Island, proceed on your own to the HarbourFront MRT station and take the Singapore Cable Car for a joyride that offers a 360 degree aerial views of the entire Sentosa skyline. On arrival at the Imbiah Lookout, start your visit with one of the many attractions which are part of your pass and enjoy Sentosa attractions to the fullest. Whether you are a thrill seeker, nature lover or simply out for some family fun, discover endless fun and exciting surprises at Sentosa. End your fabulous evening with a spectacular ‘Wings of Time’ show set outdoors against the backdrop of an open sea. Head back to your hotel and unwind at the hotel for an overnight stay in Singapore. Enjoy a buffet breakfast and check-out from the hotel. Proceed for a city tour of Singapore. Explore the city as you pass by Merlion Park and enjoy the impressive views of Marina Bay. Pass by Chinatown and visit a local handicraft centre. Stroll along the Botanic Gardens with a final stop at Little India. 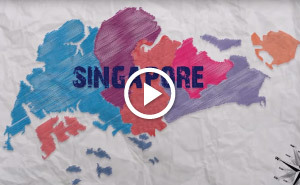 Take a glimpse of Singapore as you hop on the giant Ferris wheel - The Singapore Flyer. Then head to the ferry terminal and board a ferry to Batam. Batam is a tiny Indonesian island located around 68kms from Singapore that is known for its beaches and water sport activities. On arrival in Batam Island, get a shuttle transfer to your resort. Relax for the day and have a comfortable overnight stay at Batam View Beach Resort. Have a delicious breakfast and proceed for a Batam city tour on a seat in coach basis. Visit the Maha Vihara Duta Maitreya Temple, one of the biggest Buddhist temples in Southeast Asia. Race with your friends and family on Batam's thrilling go-kart circuit. Then visit Bengkong Dry Market where you will be able to purchase Indonesian fresh dry food in wholesale prices. Looking out for shopping? There are infinite places in Batam where you can shop souvenir and get the best genuine Polo clothing. Spend your evening at leisure or enjoy the exciting nightlife of Batam at an additional cost. Head back to the hotel for an overnight stay in Batam View Beach Resort. After a healthy breakfast, check-out from the hotel as you get transferred by shuttle to the Batam ferry terminal. Take a ferry to Singapore. On arrival, opt a private transfer from ferry terminal to the Changi Airport. Board a flight with beautiful memories of your journey to the onward destination. Note - Above prices are valid for travel till December 31, 2015. Price will be not valid on below mentioned blackout dates. Singapore Air Show February 15 - 18, 2016. *Prices are quoted per person on a twin-sharing basis in a budget hotel. Rates are not valid for peak period or major exhibitions or event dates. Weekday surcharges will be applicable for Singapore hotels. Weekend surcharges will be applicable for Bintan hotels. Additional options are available upon request. The package cost does not include any kind of entrance fee, camera charges and meals other than mentioned in the itinerary. Prices are correct at the time of publication and are subject to change without any prior notice depending on travel dates and availability. Any change in the ROE would be charged at the time of final payment. Any increase in airfare, air taxes, YQ tax and visa charges will be charged extra. All transfers and sightseeing will be on sharing basis. Above prices does not include 3.63% Government Service Tax. Terms apply.